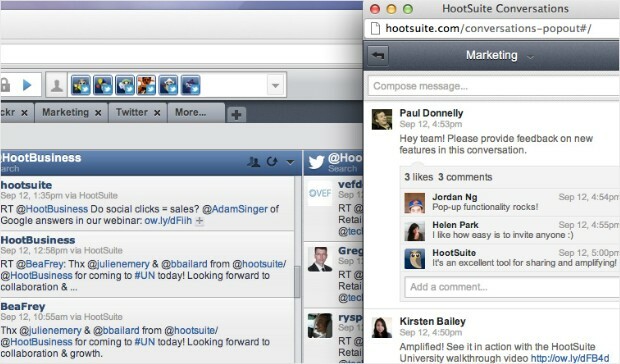 An article by HootSuite CEO Ryan Holmes was featured in Fortune Magazine yesterday. 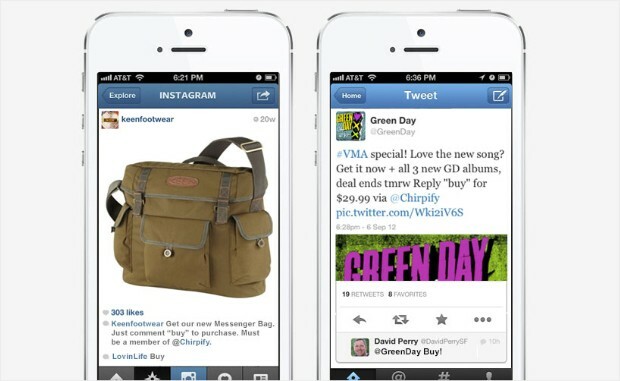 Ranging from business to entertainment, Holmes looks at the 7 social networks to watch in 2013. In December 2010, a little-known app for sharing photos with funky, retro filters announced it had signed up its millionth user. Fast-forward two years, and Instagram is a social media titan, with more than 100 million users and some 58 photos uploaded every second. While Facebook’s acquisition had a lot to do with Instagram’s growth, the reality is that new social media leaders are now emerging in a matter of months, not years. So what does 2013 hold for the social media landscape? Here’s a look into the crystal ball at the hottest social networking trends of 2013. The pay-as-you-go social network – Why share your gorgeous photos, funny videos and brilliant observations with the world for free on Facebook and Twitter, when you can sell them? 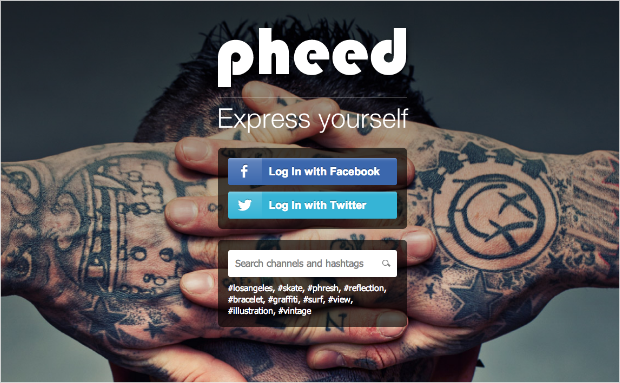 That’s the logic behind Pheed, a new social network launched in October 2012 that gives users – currently mainly celebrities, musicians and entertainment types – the option of monetizing their “pheeds.” For a monthly subscription fee, ranging from $1.99 to $34.99, “pheeders” can offer subscribers access to a media-rich stream of text, photo, audio, video and even live broadcasts. Stars like Miley Cyrus and Paris Hilton are already on board. Personal crowdsourcing – Say you have no idea what shirt to match with your new jeans. Snap a photo, upload to Thumb and crowdsource the decision. Simple questions typically generate hundreds of thumbs up or thumbs down, plus comments, from the network’s very active user base, sometimes within minutes. 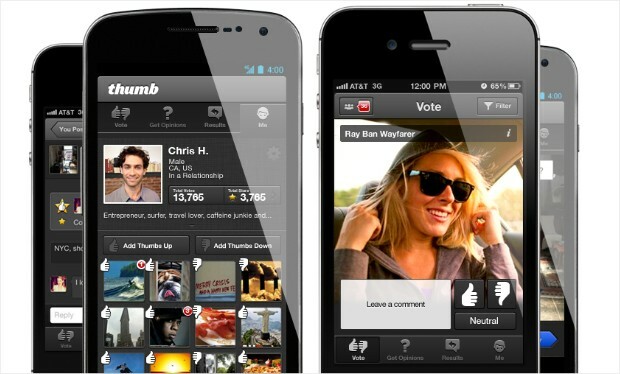 Appealing to the twin social impulses of vanity and voyeurism, Thumb generates serious engagement among users (reported to be around four hours a month, second only to Facebook among established networks) and seems poised for growth in 2013. The invitation-only social network – Social networks have dramatically lowered the bar for sharing information with people around the globe. But has the bar slipped too low? That’s the question posed by Medium, a new, invitation-only network from the creator of Twitter. In an attempt to wean us off of cat photos, Gangnam Style and Justin Bieber updates, Medium emphasizes longer form, carefully crafted content (like this story on growing up in Saudi Arabia) from users with something of deeper value to share. In many respects, it resembles a carefully curated blog network. While creators are limited to the select few, everyone can read and comment. Social networking for companies – Full disclosure: Conversations, a tool that brings social networking into the office, is made by my company, HootSuite. But I’m not the only one excited about it. 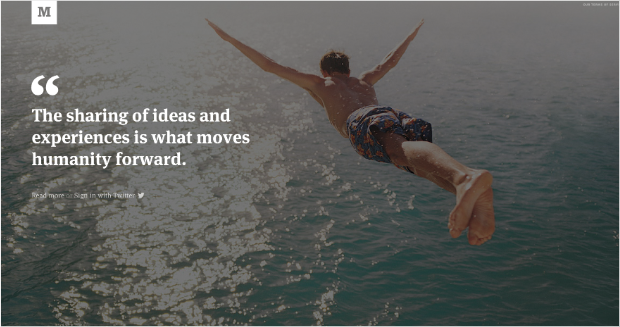 ReadWrite called it “AIM on steroids.” Instead of getting lost in long email chains, team members collaborate in real-time by posting on message boards, Facebook-style. Anyone can be invited to join a conversation, enabling customer support teams to rally around issues, marketing teams to coordinate campaigns, etc. Social media has revolutionized how we communicate in our personal lives – Why not bring some of those benefits into the workplace? Buy with one Tweet – Remember how revolutionary it felt when Amazon introduced 1-Click payments for online shopping? Chirpify takes that concept into the social media era. Sellers offer stuff for sale on Twitter or Instagram (T-shirts, concert tickets, new albums, whatever). You reply with the word “buy” and it’s yours. No credit card. No “proceed to checkout” or “add to cart.” The entire transaction is conducted through your Twitter account. Apart from buying and selling, Chirpify can also be used for fundraising, giveaways and – most fascinating of all – peer-to-peer payments. Need to pay a buddy back for this morning’s coffee? Just tweet “pay” and the amount to his Twitter handle. Chirpify is free to use but takes a five-percent cut anytime you get paid. Bringing order to photosharing – Smartphones have made it ridiculously easy to take photos and video, but gorgeous shots from last week can end up lost deep inside the camera roll. 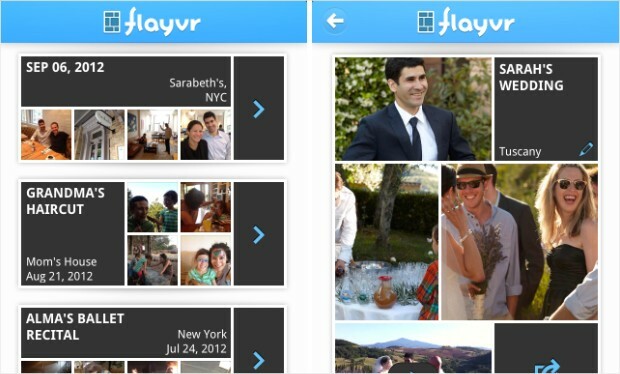 Flayvr may be the most intuitive and aesthetically pleasing of a wave of new social apps bringing law and order to your collection. Photos and videos are automatically organized into eye-catching albums based on date, complete with location and even titles sucked in from your iPhone calendar. With a tap, you can share the album as a splashy HTML5 webpage via social networks or email. It’s also a great alternative for privately sharing big collections of photos. Sharing using sound – For sheer “wow” factor, Chirp may take the prize in 2013. Say you want to instantly share a photo or link with a roomful of people. There are plenty of options out there, but they all have drawbacks. 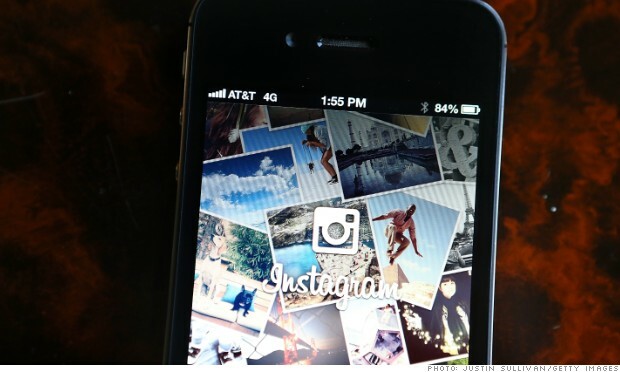 Networks like Instagram or Facebook are members-only. Email requires typing in multiple addresses. Bluetooth has to be paired device by device. Chirp, however, is different. Your phone emits a high-pitched, two-second-long, robotic squeak. Other phones within audio range pick up the sound and instantly download the photo or message. Chirps can be shared in a boardroom or a crowded bar, broadcast over loudspeakers to reach huge audiences or even embedded in YouTube videos or TV programs. As diverse as these platforms are, they are all taking social networking into deeper, more focused directions: from business-specific channels like Conversations and cerebral platforms like Medium to entertainment-based networks like Pheed. Facebook will continue to reign supreme in 2013, Twitter will thrive and Google+ will accrue critical mass. But in the shadow of these all-purpose social networks, some truly exciting transformations and specializations are underway. Get more insight into the state of social media, by following him on his LinkedIn Influencer blog, a new resource that brings together regular insights from hundreds of thought-leaders around the globe.